Yeah, you kind of have to look by the pictures of the tennis shoes, starfish, and cupcakes to see what really matters here. I could try to to analyze these images for you, along with the pink highlights in each, but I'm just going to blow up the bottom right picture, since that's what matters here. We don't have details yet, but an FCC filing suggests that the MINI's display will only be half an inch smaller than that of the G2's. That would make it 4.7 inches, more closely resembling the size of the HTC One than a phone that's actually, you know, small. Nevertheless, the MINI in the image above does appear to be significantly smaller. 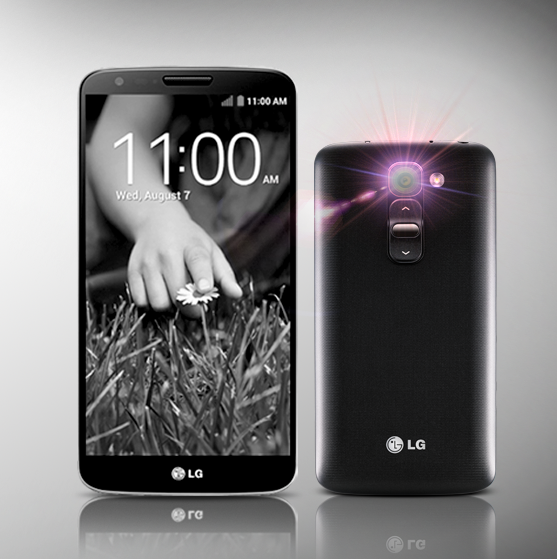 Let's hope LG doesn't cut too many corners with this one.